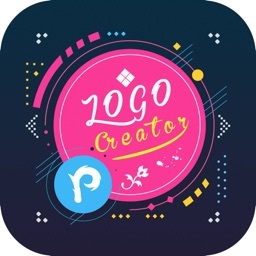 The Logo Maker by Laughingbird Software - the easy, and fun way to create graphics, logos, video overlays, watermarks, Facebook and blog images! Just click the "about" icon inside the app to download the desktop version. • ROYALTY FREE images, graphics, cartoon marketing characters, glossy objects and more ... all designed by professional graphic artists! No clip art here! Use them freely on your Facebook pages, instagram photos or eMail them! 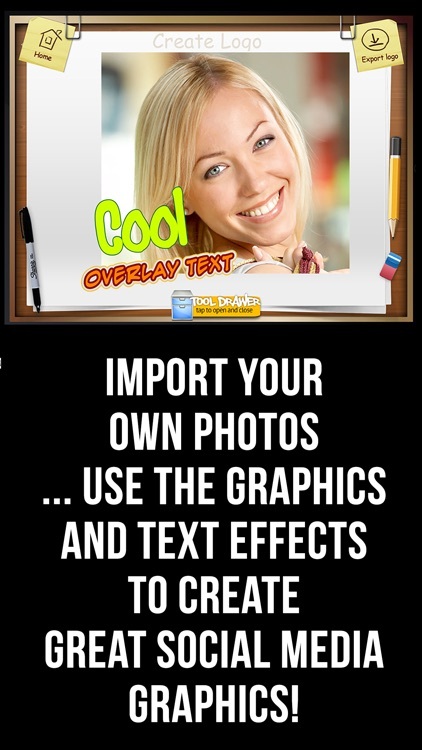 Export your images and use them on your websites... or with Photoshop for greater enhancement! (but you don't need Photoshop to use the software). 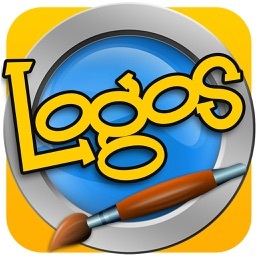 Just drag and drop the images onto the logo makers canvas. Easy! 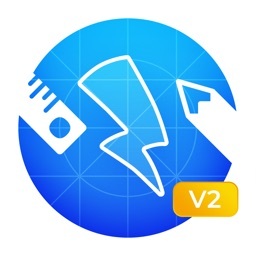 • Adjust and modify over 30 customizable logo templates. 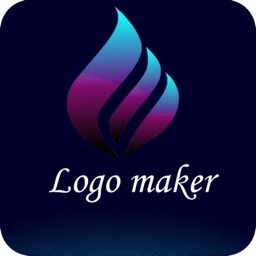 • Create eMail signatures or use the logos you create in your video creations! 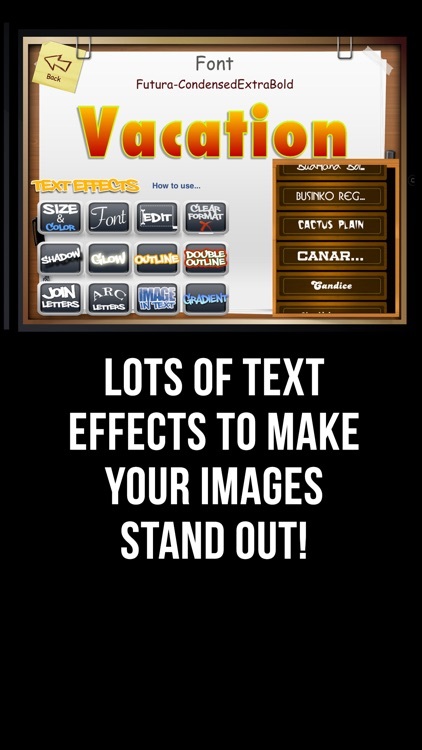 • Add your own elements and images using your camera! 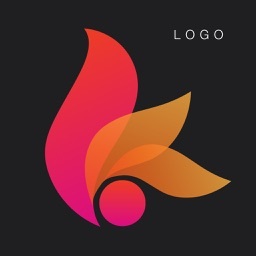 Great for branding your business. 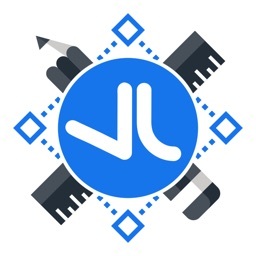 It's logo design made easy! • Create your own personal company wallpaper! ...You can even send it up to your Facebook or Instagram account! 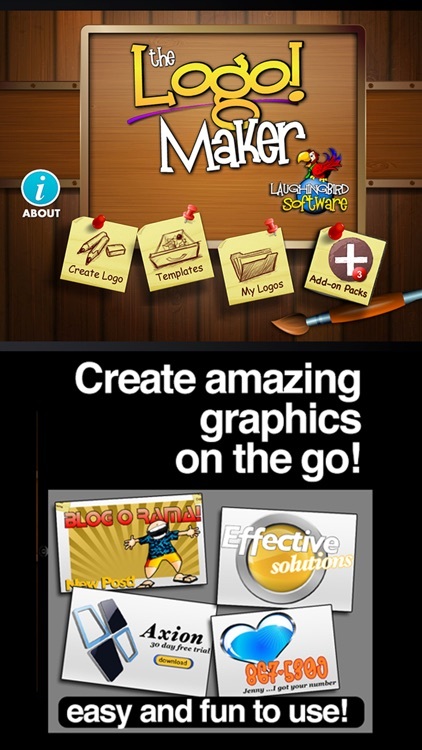 • Use The Logo and Graphics Maker to create fun and unique eMail signatures! Place your logo onto virtual billboards, tradeshow booth images and more! Send these images to your friends and show them how important your company is. 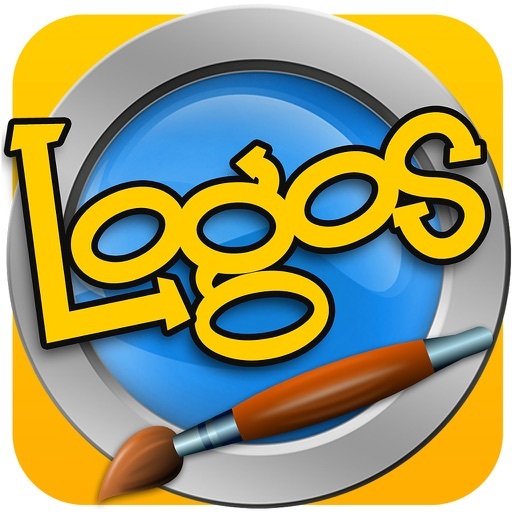 The Logo Creator by Laughingbird Software is easy and fun to use. 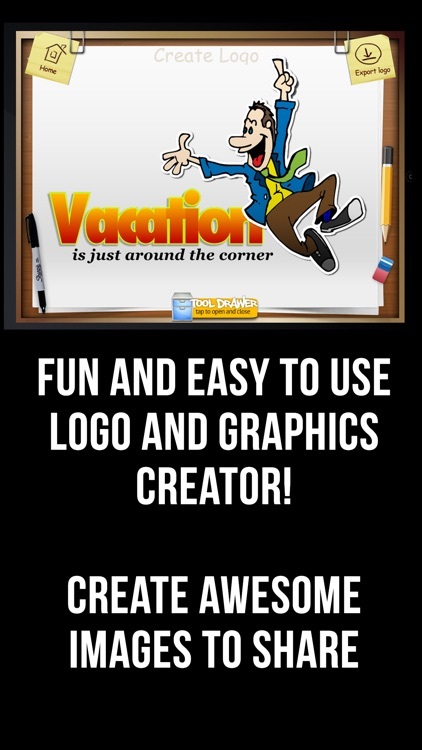 Your logos will look like a Photoshop guru spent hours on them! Design your own images, in your own time.